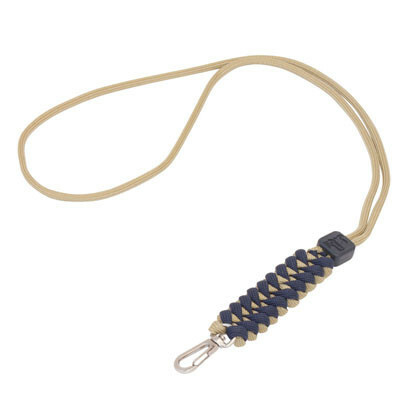 The Rainier paracord lanyard comes with a metal snap hook to attach credentials, small tools and other items. It deploys for 6.5 feet of 350-lb. parachute cord.